Adopted from a lecture by Mr. Raefipour- a religious scholar and researcher. The architecture and city construction means the knowledge of changing the natural environment to an artificial environment in order to fulfill certain needs. We live in a natural environment, we excavate rocks from the heart of earth and mingle soil and water and make bricks by heating them using another element, “fire”, then by using another element, the “wind” we dry the bricks and use them. Girders derive from Iron Ore. We make different objects for our comfort and needs from natural material. Are all of these needs necessarily for our comfort? No, not all of it is for our convenience, we are after something beyond this and that is tranquility. It means that tranquility and comfort should accompany each other. How big should your house be? Should it have windows or not? What color should it be? How high should the walls be? Where should they open to? Which district should our house be? On a hill or downhill? There are different topics on this! This is the science of creating space, location and its main task is to design cities, locations and spaces based on a pre-defined mentality. We should not look at it naively and simply mingle everything to make something, however, unfortunately we have recently observed such things. What feeling do you get when you go out into nature? The feeling is soothing and not a fake one, of course. You really feel it. The flowing water or the growing green leaf of a tree in spring gives a strange feeling to you. These are not habits otherwise we should have become accustomed to rocks and stones. These are our natural tendencies toward nature. Therefore, in construction of architectures we should pay attention to these human internal tendencies. Each civilization and school of thought considers their own utopia. When you look at the architecture of a city, you realize what the people of that city think about and how they reason. A liberalist has a liberal viewpoint, his actions and reactions are liberal, and he adjusts his reactions on the basis of liberalism. Liberalism means nothing is superior to anything else, everything is permissible, hence who says there should be a proportion? All architecture schools have a philosophical basis. If you consider the ancient Egypt, you find out that the position of the Gods were located in stars since the people of Egypt believed so, Osiris was pictured in the Orion. The three stars on the waist of Osiris which represent his masculinity were exactly depicted in the form of three pyramids in his own city on the earth precisely in his own region. If you pay due attention to the Giza pyramid complex in Egypt you see that they are not built at the same height, one of them is shorter, because the waist in the Orion Constellation is a bit lower. It is interesting to know there are some buried pyramids which were discovered later by archeologists by locating stars. This was their style of thinking which led to create that greatness. The Holy Quran says: “And with Pharaoh, lord of stakes”, the Quran refers to the obelisks and pyramids which Pharaoh was constructing. If you would ask an ancient Egyptian about the benefit in the construction named pyramid, he would answer: “This is a means of communicating with my God. The medium is Osiris. And the Tomb of my earthly God should be here.” How many people died in the construction of these pyramids? What enslavements had occurred? However, based on a thought and a philosophical school, an architecture was built. On the other hand, we see that after the Knights Templar were informed with the Cabalist thought, the style of architecture changed in Europe. What does “Freemasons” mean? It is manifest in the word, free masons! The emphasis is on architecture among them. The influential, oligarchy caused them believe in the Cabbalist mentality. Consider their architecture in the medieval centuries, it is influenced by Plato and Descartes, in modern architecture it is influenced by Heidegger, in post-modern era it was under the influence of Jacque Derrida who was a relativist with a deconstructive viewpoint which we observe in the present architecture today. Atheistical and blasphemous philosophy introduced the Darwinist viewpoints and it generated its own architecture philosophy. They consider the creation of the world as an evolution. 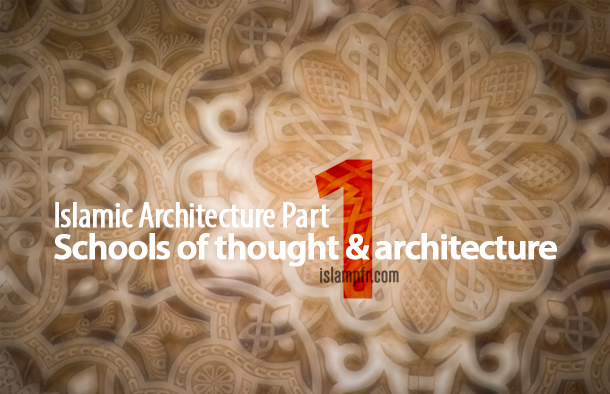 Thus, architecture is like a body which transfers its fundamental philosophy or generates its own philosophical school for architecture and that architecture consequently leads one to the philosophical school. While this philosophical school sets no boundaries and its architecture is based on such grounds, you may want to live in an apartment with their style. There is no limitation and the principles you believe in will be broken one after the other. Indecent affairs seem no worse as they used to and your life likens the one on whose viewpoints the building had been built. Empiricist ideology does not believe in spirituality and supernatural forces. Empiricism means experimenting, experimentalism and this creed does not believe in Mosques and their Qibla. How important is it for them to allocate a space in home for prayer so that we can pray under the sky according to what we have in our narratives? How important is it for them? Nothing. Relativism is a school of thought which is based on relativity and skepticism and considers nothing as “right”. They ask; “What is right?” who has decided what is right and what is wrong? There is no right, everything is relative, since God is not the base. When right is displaced, we should expect such a deconstructive attitude. Where can right be obtained? Islam says it is obtainable through revelation, reason and human nature. We have a Prophet outside such as: Noah, Moses, Jesus (Peace Be upon Them) among other prophets and we have an internal prophet which is our mind. This is what Islam says. “Right” means to observe and decide where everything should be placed and place everything in its right place consequently this brings about Justice. Thus “Right” is the base and if we place everything in its place according to that; we have observed Justice. By doing this you create beauty, therefore the outcome of justice is beauty. When you clean your room and you put everything on its place you will be told “What a beautiful room you’ve got”. On the other hand, when right is displaced and the world becomes relativist and everything becomes relative then it is not evident where to put things. When it comes to construction they say “Why should the column be like this? It should be slant. I will make it slant as far as the gravity allows me.” When there is no right, there will be no justice. It means nothing is placed where it should be and therefore beauty fades away. Look at one of the Satanists’ symbols for example, an upside-down ax. It is anti-justice and because it rejects the notion of right it becomes something against beauty and order. Another symbol of Satanists is an A in the center of a circle. “A” is for Anarchy, and they do the things which are against beauty. What do they do? They add stains and spots on their faces. They have their visage look like a creature. They spend money and have operations to resemble a cat! A cat man or a cat woman! You see their principles: they are against beauty, order and right. Therefore their ideology becomes unjust rather than just and what becomes unjust, is ugly, deconstructive and void. Hedonism: Just think about love and enjoy yourself. Laissez-faires is a French word which means let it happen, don’t interfere. Let it be free. Let them do whatever they like. However, this turned to change to the opposite. The capitalists said let us- the capitalists- do whatever we want. Aleister Crowley was the father of Satanists. His creed in his whole book is that “Do what thou wilt” and that “shall be the whole of the Law”. This is our religion. Nothing is a basis for you but you yourself. What does Utilitarianism say? They say the base is benefit and money. You should gain it in all possible manners. It necessitates that you maximize benefit. If we have a democratic society in which the amount of utility is down, it would not be acceptable for them. If a society does not enjoy democracy but is high in benefit that would be acceptable and basic. A society such as Saudi Arabia. Flaunting: it means showing off. “Look at me”. You want to be highlighted. A “dazzling display”, I want to be in the spotlight and been seen at whatever cost. They are even ready to do strange things to amuse people. You see that today it is the principle, where are the tallest towers of the world situated? Did you pay attention to the question? Who thinks about this question? What necessity is there to build a tall building towering above 500 meters? What for? We don’t have space for the population? The builders of such towers do not care about the reason. In fact this is a race among the capitalists to be highlighted. The reason is to build such buildings is to amaze you. “Wow”- you would say, “Who has built it?” this has become a trend in architecture. We have seen scenes in social media that some people slapped themselves in the face to get more likes. In flaunting mentality, one goes so far to buy “like”. Another sign in the “Modern Ignorance” age is to set up some stupid records in the Guinness World Record Book, such as holding 27 knives in one’s mouth. His name was recorded. “Are you a knife-holder?” or another record is for eating more cockroaches which you can see the footage on the Internet. Also you can see a bunch of other strange records. In this ideology, this is the basis, to be in the spotlight in whatever cost. Consumerism and the management of needs: this is more important than the previous ones. In this mentality, consumption is the basis. Just consume. We name it as “creating interest”. They can make what is not of your concern as your concern and interest. It doesn’t really matter if you have not eaten pitaya, but they first introduce it to you then they create a need and desire for you and they will sell it to you and make profit. Now, we don’t have something under the term of “marketing” in management and marketing fields of study, rather we have “creating markets”! They ask you to go and deceive people in believing in a need then convince them and make the demand in them. It needs exploitation and fooling them. I should make money and in order to do so I should produce more since production is the effect of demand, i.e. the need should first exist in the society and then I create the demand. For instance, I establish a firm to produce the juice of a certain fruit but I won’t go after TV commercials because these days TV commercials are not common, rather they go after hidden ones. For example, in a program they talk about the vitamins of that certain fruit and later they pay different sites and papers to write articles for them on the benefits of the fruit and you who didn’t know about the fruit in a few years ago, would see it on the market. You and your mind have been marked, so you will immediately buy it and you tell yourself that because the TV program was talking about it and because certain papers have written it off so I should by it. You should be careful about this principle. Managing needs is rather creating markets not marketing. Dormitories were built next to firms or the cities developed close to the firms were constructed in order to make it possible for the workers to get to work quickly and also get back home fast. When do you think women were allowed to own something in England? Before that there was no mention of women’s presence. Will Durant says that it was the 17th and 18th century when industrialized England faced lack of labor force. They announced that women had to work. Then they argued on this issue and the next point was the fact that when women couldn’t own anything why they had to work. They decided to pass a law in which women could deposit the money of their income. Then since women would bear children and would stop going to work they established nurseries near firms so that their children would be looked after. Then restaurants were built in firms otherwise they would stay longer at home to cook food. They removed the “family identity” from them and gradually the unit of families collapsed in Europe. Now, they are sad about not having families. This is the basis of architecture. Even how to dress depends on architecture. There is a restaurant in Europe which has furnished the restaurant with toilets as chairs to deconstruct the idea that the toilets should be separated from other parts of a building. People sit on toilets and have their food. The toilet is a real one not something similar or a fake one, its seat cover opens. 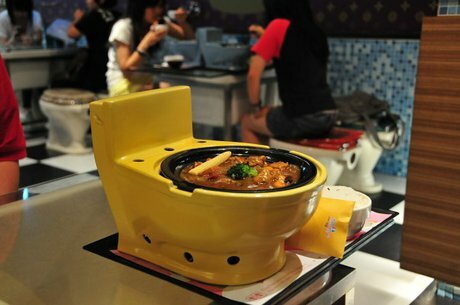 The foods are served in plates which resemble a toilet. You may laugh at what they have tried for, because your mentality is different. Then the base is one’s mentality. This mentality brings about its architecture, style of dressing, eating habits, dancing and all other affairs are based on this mentality. This mentality is Dijjal’s mentality. This is Dijjal. That is how the mentality spreads throughout the whole world. Read about the followers of Dijjal in narrations. See who they are. In various Hadiths, the Grand Prophet of Islam and Imams have talked about it 1400 years ago. When I study these narrations, I see that sometimes or somewhere I have turned to a modern Muslim, I mean I do things which have nothing to do with each other. Do you know the outcome of following the West blindly? 03:23 P.M. On 15th of July 1972, Americans installed dynamites in buildings which had won a prize for their style and architecture and demolished them completely in St. Louis. The people who lived there had become violent beasts. They killed other humans, they practiced cannibalism- the videos on this are available. Search about Pruitt–Igoe, Americans have made films on it. The traces of bullets on the walls… Do you know how they houses were? The ones we have today. Apartments. Block by block apartments. Why? Because modernity was after maximizing everything. They say “Break the rules you have set for yourself.” Build houses fast.
 . Osiris was an Egyptian god, usually identified as the god of the afterlife, the underworld, and the dead in Ancient Egypt. He was the son of Geb (the Earth) and Nut (the Sky) and married her sister- Isis and their child was Horus.
 . The Poor Fellow-Soldiers of Christ and of the Temple of Solomon (Latin: Pauperes commilitones Christi Templique Salomonici), commonly known as the Knights Templar, the Order of Solomon’s Temple. A military-religious group in Christian history who were active in the medieval ages.
 . The gnostic method and school of thought which is rooted in Judaism.
 . Plato is among the three great Greek philosophers (Socrates, Aristotle and Plato).
 . A French mathematician and philosopher.
 . Martin Heidegger was a German philosopher and a seminal thinker in the Continental tradition and philosophical hermeneutics in the twentieth century. His philosophy has affected many philosophers after himself.
 . Jacques Derrida was a French philosopher, born in Algeria. Derrida is best known for developing a form of semiotic analysis known as deconstruction. His theories had great influences on post modernism and literary criticism.
 . This theory is a philosophical-linguistic trend connected with post-structuralism and post modernism.
 . Darwinism is a theory of biological evolution developed by the English naturalist Charles Darwin.
 . Humanism is a philosophical and ethical stance that emphasizes the value and agency of human beings.
 . Egocentrism is the inability to differentiate between self and other. More specifically, it is the inability to untangle subjective schemas from objective reality; an inability to understand or assume any perspective other than their own.
 . Empiricism is a theory that states that knowledge comes only or primarily from sensory experience. One of several views of epistemology, the study of human knowledge, along with rationalism and skepticism, empiricism emphasizes the role of experience and evidence, especially sensory experience, in the formation of ideas, over the notion of innate ideas or traditions; empiricists may argue however that traditions (or customs) arise due to relations of previous sense experiences.
 . Relativism is the concept that points of view have no absolute truth or validity within themselves, but rather only relative, subjective value according to differences in perception and consideration.
 . Hedonism is a school of thought that argues that pleasure is the primary or most important intrinsic good. A hedonist strives to maximize net pleasure (pleasure minus pain).
 . Edward Alexander Crowley was an English occultist, ceremonial magician, poet, painter, novelist, and mountaineer. He was a revolutionary in sexual affairs and was a social critic.
 . Utilitarianism is a theory holding that the best moral action is the one that maximizes utility for the most of the society.
 . A pitaya is the fruit of several cactus species indigenous to the Americas and Mexico.
 . William James “Will” Durant was an American writer, historian, and philosopher.
 . Dijjal is a one-eyed person with an abominable face and shabby hair on whose forehead the word of “blasphemy” is inscribed. Dijjal will probably appear from the East and particularly from Khorasan in the apocalypse and before Imam Mahdi’s (PBUH) uprising.
 . St. Louis is an independent city and inland port in the U.S. state of Missouri. It is the second-largest city in Missouri after Kansas City.
 . Pruitt–Igoe was a large urban housing project.